1 Tablespoon vanilla. I happened to have a vanilla bean on hand, so I used that. If you have it, throw it in the mix. It looks great. Take all your ingredients, (make sure you don’t have the entire egg and just the yolks!) 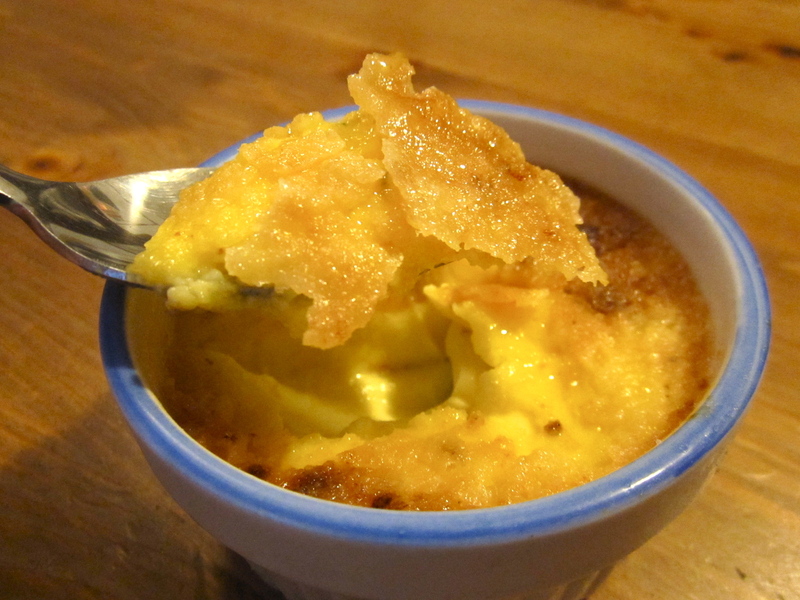 and whisk them together, preferably in a large measuring cup so it’s easier to divvy up your custard into ramekins. For this recipe, I made 5 rather deep crème brûlées, but you could make 8 if you made them shallow. My ramekins are about 3″ in diameter, so this would depend on how large your ramekins are. Nevertheless, take your ramekins and place them in a deep dish pan, like an 11″x9″ cake pan. Boil water, and fill the cake pan so the water comes up the sides of the ramekins (but don’t go into the ramekins) and finally fill your ramekins with the custard. 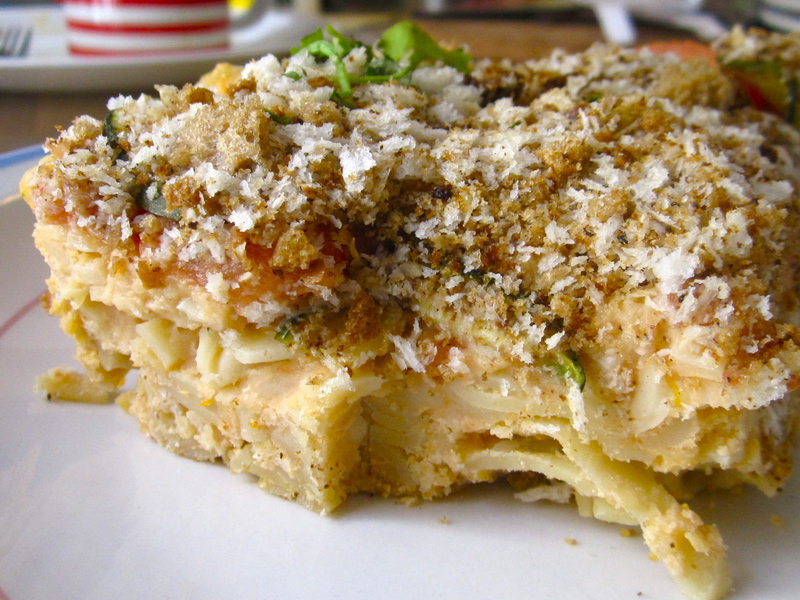 Bake for about 20 minutes (if shallow) and up to 40 minutes (if you made a deeper kind). You’ll know they’re done when they are a bit geletainy still, and wiggle a little but aren’t slimy. Take the ramekins out of the bath after letting them cool and dust them with additional sugar. If you’re cool and have a blow torch- I’m jealous. You can brûlée your crème right away. 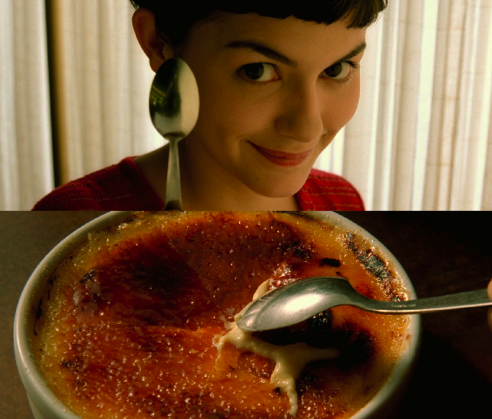 For me, I had to brûlée my crème via a broil setting in the oven, and had a close eye to ensure they weren’t burnt. I let it cool and couldn’t wait, and had some while it was warm. It serves wonderfully cold too.